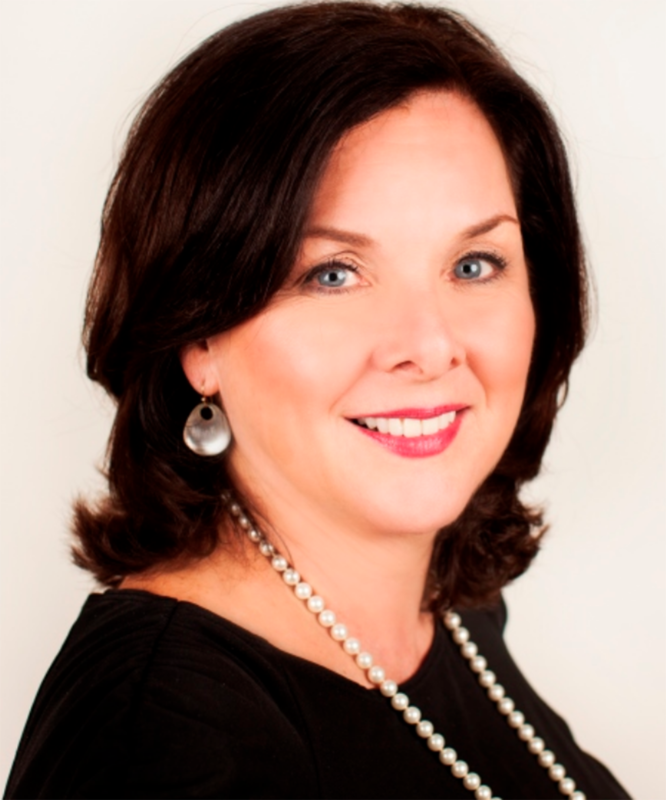 Recently I had the opportunity to interview Lynn Branigan, President and CEO of She Runs It, a not-for-profit company that seeks to pave the way for more women to lead at every level of marketing and media. Since taking this role, she has rebranded the organization from Advertising Women of New York (AWNY) to She Runs It, recognizing that the industry is now much broader in scope than advertising, and much broader in geography than New York. At the end of 2017, she also launched (in partnership with Diversity Best Practices), the Inclusion and Diversity Accountability Consortium (IDAC), the first initiative of its kind for our industry in that it pivots on measurement and accountability. Inclusion. Above all else, we exist to champion gender equality for all women. And we embrace the men who are partners in this journey. Encouragement. We believe in building up, not tearing down. Fearlessness. To borrow from a thought expressed by Taylor Swift, we don’t believe fearlessness is necessarily an absence of fear. It’s about jumping in, even when you might be terrified to take the leap. It’s probably important to clarify that I fundamentally reject the idea of millennials as a singular category or generation. So, when it comes to advice, there’s no “one size fits all” recommendation. I have observed that overall, professionals rising up through the workforce are less interested in being supervised or managed, and more responsive to being inspired and mentored. There is a much stronger ambition to do well by doing good. Life is increasingly prioritized over work. My advice is to treat employees as individuals. Listen to what drives them. Observe what motivates them. Create a value exchange that taps into their passions. More than anything, we can’t try to apply our own approach to work and expect it to resonate. Saying things like, “when I was in your position I used to put in 80-hour weeks,” is not inspiring. Embrace a vision and/or a mission. Our mission is to pave the way for more women to lead at every level of marketing and media. It guides every decision we make. It helps us identify ideas and initiatives that we should say no to. It gives us an infallible metric to measure our success. Work hard to play hard. She Runs It hosts a lot of big events and those require an intense run-up with lots of overtime and little rest. Whenever a big success is delivered, I encourage some decompression time. I will also try to make the work fun by ordering in a lunch or dinner for the team that is putting in long hours. Feedback and performance evaluation are fundamental. No matter who they are, people need to know how they are doing. If an employee under-performs, the best gift is to address it immediately and directly. And even the highest performers need to hear “well done,” with specificity. Feedback is often neglected because it is time-consuming and too often gets relegated to the back burner while business demands and deadlines are prioritized. Leaders can’t get too busy to tell their staff how they are doing. Be a corporation with a conscious. The data is overwhelming here. People increasingly want to work for companies that embraces social responsibility and conscious behavior. This could be as simple as having a dog-friendly workplace or as complex as removing a carbon footprint. Companies generally serve a lot of masters: boards (of directors), shareholders, customers, municipalities, employees and more. It is profoundly difficult to meet the demands of all, and often attention gets diverted from culture to the bottom line. It’s also difficult to focus on culture in periods of disruption, and the industry we serve — marketing and media — is experiencing a tremendous degree of disruption as consumer attention is more and more difficult to capture. Culture must be intentional. And it needs to be nurtured persistently, at all levels of an organization. What is one mistake you see young start-up founders make in their culture or leadership practices? I’ve mentored (and been mentored by) a number of entrepreneurs and start-up leaders, and I think a common problem they face is the natural distraction that occurs when business priorities compete. A person may launch a company with a very specific spirit and set of values, then as the company grows they shift their focus (naturally) to financial and other matters that need attention. Culture has to be as essential to a company’s bottom line as sales, R&D and profits. I learn a lot from many leaders in our industry and I so I have a treasure trove of strategies. There are two though that particularly inspire me. The first is based on the notion that a person should not underestimate the importance of self. Every day, you should put an hour on the calendar for you. It might be to take a run. It might be to meditate. It might be to go to the salon or listen to a water fountain. The point is, it will reduce stress and renew energy to get tasks done. Also, Arianna Huffington was a recent keynote speaker for She Runs It, and she talked about the important of gratitude. She recommends that people spend a few minutes at the end of each day to journal what they got done. It will promote a sense of well-being and accomplishment. If you apply these four tools to your life, it’s amazing how freeing it can be to move to a more purposeful and positive place. My leadership inspiration comes from many places. I am fortunate to work along side so many remarkable women who are board members and part of the She Runs It community. Every day I am inspired by new behaviors and powerful leaders who conquer challenges and lead some of the most successful companies in the world. A bad boss can be brutal to a person’s self-esteem, so I typically advise three strategies. The first is self-care. Having a toxic manager is exhausting and it’s important to protect yourself. This might be as simple and passive as seeking affirmation from family, friends or other people in your life to nurture your spirit. And it might be as difficult as finding a way to address the problem directly with your boss, asking for conversations when emotions are not running high. Another strategy is to find a sponsor or an advocate. Someone who can serve as a sounding board or step in to defend you or your work. A third strategy is to get out. People can spend a third of their lives at work and no one should be exposed to chronic negativity 33% of the time. There are plenty of great leaders and healthy working environments. Go find one. Structured wine and whine sessions. We schedule “clear the air” outings where conversation is encouraged (frequently after major events are concluded). There are two rules: constructive criticism has to be offset by a positive statement, and no one is allowed to simply “admire a problem.” If you mention a problem you have to at least try to share a potential solution.